How and When I got Pregnant! 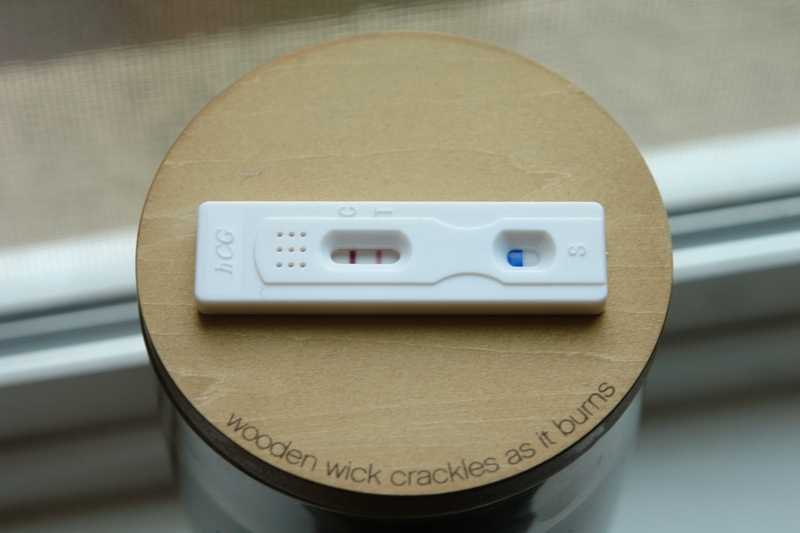 So I have only documented 3 out of the 7 cycles it took to conceive baby number 1 on this blog! Over all it took a very normal amount of time to conceive. I always had normal cycles and ovulated every cycle. So it was a short but bitter sweet journey as no one likes to see big fat negative pregnancy tests which I have gotten my fair share of those. it seemed to have taken forever to get pregnant but it could not have been better timing! We found out I was pregnant during the Christmas holidays 2011 and it was the perfect way! I happened to be visiting my Family in California who I haven’t seen in 2 years and I got to share the news with my family in person. Below are the videos of me finding out and also a summary of my trying to conceive journey. Although I wish for nothing more than a healthy pregnancy; after just having a miscarriage I feel the need to allow myself time to heal before jumping right back into ttc. This blog post is about what I am going to be doing to accomplish my ttc break and how I am going to enjoy and obtain value from it. First of all I want to talk about my interests and personal goals outside of ttc. My number one desire these days have been to become a mother and after being denied that wish 5 times I have come to conclusion that I can no longer put my life on hold for ttc because I have little control over when I am going to have a baby, nature is in full control and in ttc it is either hit or miss. every cycle brings new hope and opportunity but it is very much like rolling dice but it takes an entire month until you get another chance to roll it again. I have spent half a year now sitting at home waiting to get a BFP. SIX MONTHS of putting my life on hold for something I have no control over. I decided to stop learning german because I did not see the point since my desire to be a stay at home mom didnt require immediate skill in the department. I gave up on the idea of obtaining education and seeking a profession because in my mind I was to fall pregnant and dedicate all time to my children anyway. After leaving six months empty handed I have decided to continue ttc but also focus on other things and try to obtain other goals that way I dont spend another 1,2,6,12 months totally empty handed again. I have made a list of things I wish to accomplish during this ttc break and My husband and I have come up with things to look forward too. ~The first project My husband and I have been doing together is we have been getting creative and re decorating our apartment. Its been a fun little project we have been doing together and it is already almost complete. ~The next and probably the most important thing is I am learning German again. The next course starts October 3rd and I am already signed for it. In the mean time I am doing self study at home. ~ I want to start spending more time with friends. ~ I wish to shed the last 5 pounds I have to lose, by then I will have reach my goal weight. ~I want to look into alternative medical techniques, and continue to educate myself on a holistic approach to medicine and health. ~I wish to seek universities that offer programs where I can study things like nutrition and figure out how I can make myself eligible to get involved in these programs. All of these things I have put on hold for 6 months and I feel like punching myself for doing so. In september ttc is still on my to do list but I wont let it sneak its way into being the only thing on my to do list ever again. My 3 month trying to conceive break is finally over! I am currently on cycle day 14 and I am ovulating today!!!!! Yesterday I got a VERY positive ovulation test including lots of classic ovulation symptoms. Normally I dont write blog posts mid cycle but I really wanted to express my optimism and hope that I have for this cycle. Since we are approaching the 6 month mark of trying I do suppose its playing a huge role in my desire to get pregnant this cycle, but Something really just hit me when I saw the blazing positive ovulation test yesterday! The idea of having a baby due in April seems really right for some odd reason I cant explain. My Ovulation symptoms are incredibly strong and almost overwhelming right now. I am having a distinct ache in my lower abdomenem on my left side, massive amounts of EWCM, breast tenderness, and slight bloating. My body is in full gear to get pregnant so lets just hope my husbands sperm make it to the egg before its to late! My desire to conceive is so incredibly intense right now, out of all the cycles I have tried I dont think iv ever been so sure that I am really ready to start my journey to become a mom. If I dont conceive this cycle there will no doubt be some tears, I mean im just being honest. Its been a rough couple of months dealing with dental issues and weight gain. But now everything is so right! My teeth are in great shape, and I am in great shape. I weigh 145 pounds so my BMI is much better than it was 2 months ago. I lost 20 pounds and I am an incredibly clean and healthy eater. I am finally ready not only emotionally but I really believe my body is ready for a pregnancy as well! I am so excited to see the outcome of this cycle, I am beaming with joy and excitement. I will try to make it to 10 dpo to test which is Monday August 1st! Cant wait! Until then it is babydancing heaven! 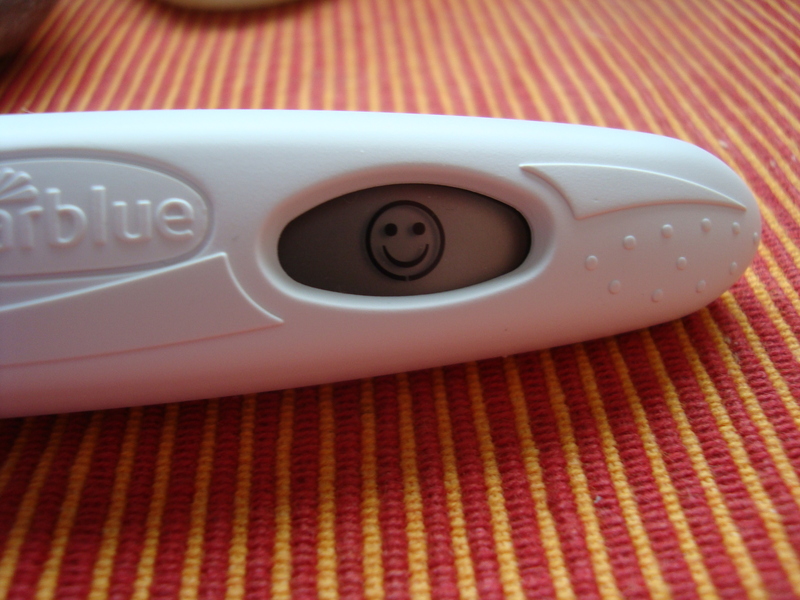 Watch me get my positive ovulation test! Well another cycle another negative…. Im not surprised really, and I have alot of exciting things to look forward to so this maybe the easiest BFN yet. As many of you may know I am on a ttc break from now until the beginning of June. 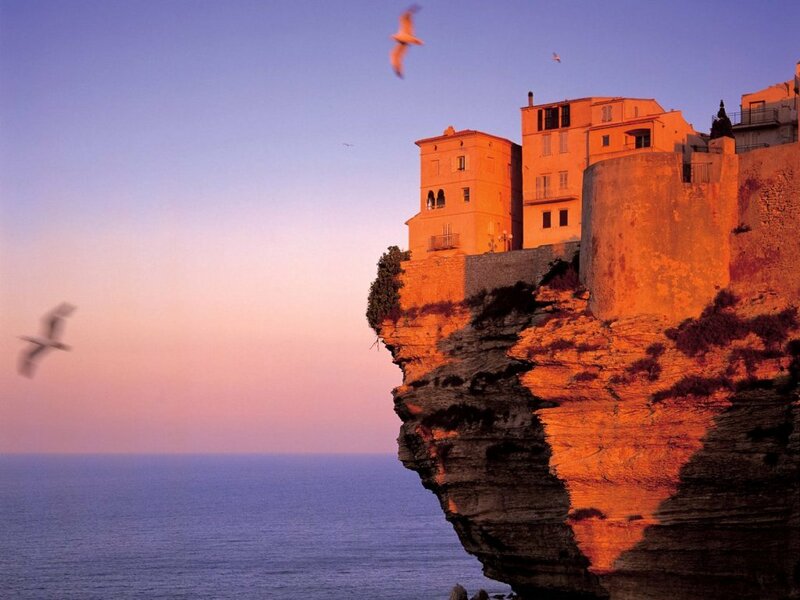 I am on this break to prepare for my holiday in Corsica France! yay I am also taking a break for just the sake of my sanity, ttc is a full time emotional roller coaster ride. In these next two months I will be focusing on mental clarity and weight loss. I will be taking 2 herbal supplements that are to boost fertility and my hubby will go one one as well. We will both be taking Maca root and I will also be taking evening primrose oil. I will do videos and detailed blog posts about both of the supplements and their affects. I started this cycle with High hopes, 3 is USUALLY my lucky number. I started taking OPK’s on CD 10 and I got a positive on CD 16 and ovulated CD 17 this is a day later than usual. We baby danced the night I got my positive OPK. The next morning I woke up and decided it was time to step on the scale, and I gained another KILO (2.2 pounds) I was a wreck I have been struggling with my weight due to a thyroid problem I was diagnosed with at 8 years old. I then began to panic and even had thoughts like I REALLY HOPE I DONT GET PREGNANT!! I was in the heat of the moment and really knew that my weight gain issue was something I wanted to fix ASAP. I began doing more research and talked to a friend who suggested I try evening primrose oil as it is meant to balance hormones and boost fertility. At this point I decided to wait and see how this cycle ends before starting the supplement. The whole cycle I have gone back and forth debating on what I was hoping for more a BFP or BFN then I realized how lucky I was. I was in a WIN WIN situation and that uplifted my spirits and I got motivated to make some changes. I started a raw food challenge and cut gluten from my diet to balance my blood sugar levels and I became increasingly excited about my weight loss and my vacation in corsica. After my first BFN I started my 7 day raw food challenge which I will talk more about in a seperate post and everything started coming together and made sense and I felt AMAZING…BUT THEN Aunt Flow decided to play mind games with Hubby and I. She is NEVER late!! She decided to wait to show until I got my hopes set high on possibly being pregnant! and then greeted me on CD 31 with the cramps from hell. I am feeling alot better now but I still find myself sad about the line up of BFN’s. I thought for sure Id be pregnant our first try. I now cant help but be scared and excited about what this journey has in store after my break. I will continue to chart my cycles I am especially interested to see how my cycles change while on the supplements. I am SOOO ready for this needed break to refresh! Cycle 2 ended with alot of feelings and emotions that I still haven’t come to understand………. Speaking of babydancing lets talk a little it about my hubby and I’s schedual. 😉 To be honest our baby dancing odds have never been great, we have never actually babydanced on ovulation day but we did a little before and the days I got my positive opks, however we will FOR SURE babydance on ovulation day cycle 3. That being said our chances of getting pregnant were good but not GREAT and could be why we got BFNS both cycles. The 2 weeks wait was ok for the first week but I had serious ants in my pants when I started feeling this random pinching on my lower abdominal and according to the internet that could mean it was an ectopic pregnancy so I freaked out and started testing at 9 dpo. Of course everything is now fine and I over reacted and I am not experiencing any type of pregnancy symptoms WHAT SO EVER. I continued to get BFNS, so I decided to wait until Cycle day 13 which was my husbands birthday and I wanted so badly to give him a positive pregnancy test on his birthday but NO GO. BFN BFN and another BFN. I was really down about it at first but now I feel very at peace and I am so excited about this next cycle! I feel like an official TTC’er now, I feel like I have been around the block enough times to know how to go around again without stumbling, I am very optimistic about this cycle and Im praying I will have a December baby! 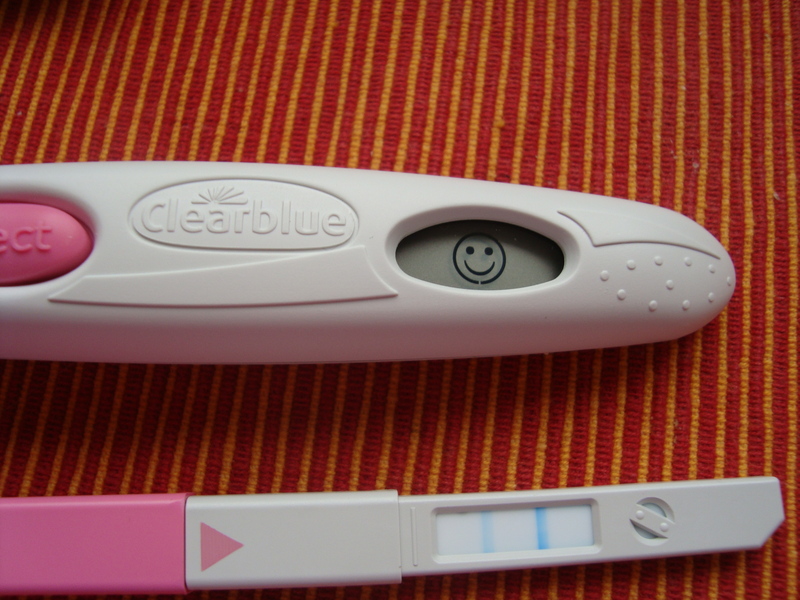 The clear blue digital ovulation test is fast and easy to use! There are so many advantages to a digital ovulation test vs. your typical determine the lines for yourself test. I love the test, It helped me pinpoint my ovulation day my first cycle of trying with so much ease! However the tests are REALLY EXPENSIVE! If you are planning on buying them they only come in a pack of 7 and you need to repurchase the entire kit every time you run out. (28 euros) I would highly advise that you also have another way of pinpointing ovulation like temperature, CM, even cheaper ovulation tests before taking a clear blue digital. 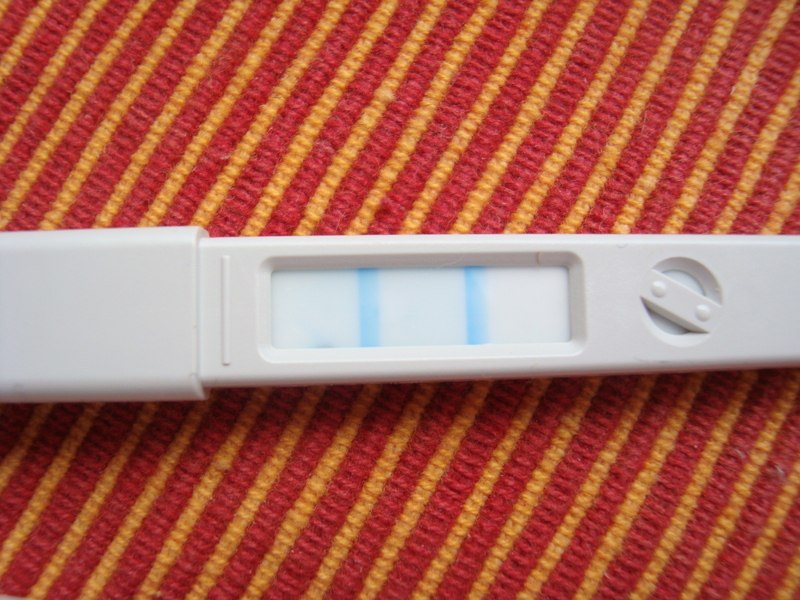 This cycle ( cycle 2) I will chart my CM and take cheaper ovulation tests to determine the lines and if I think I got a positive opk on my cheep tests I will take a clear blue digital just to double check. I must say getting a smiley face is very exciting and uplifting! I love the test I just wish there was a way to purchase the sticks separate from the digital monitor. Check out my video on youtube! and follow me for more updates and reviews! Pictures of my positive opk on cycle day 15 that means I ovulated between cycle day 16 and 17! My hubby and I officially started activley trying to concieve baby Number 1 in the months of jan/feb.The reason we are where we are today is because I have gotten the urge to become a mommy alot sooner that I ever thought I would.As crazy as it may sound my desire to become a mommy really began with a vivid dream I had when we first moved into our cozy little apartment here in Munich Germany. My dream was of me breastfeeding twins, and thats about it really. It was more the feelings of the dream than the actual things going on in the dream. Soon after I went on youtube and found a community of people who share preganacy vlogs and baby vlogs and I began getting more and more excited about starting a family of my own and joining the community on youtube. I am also a huge fan of the shaytards on youtube and they are an amazing family to watch and they started of as young parents as well. 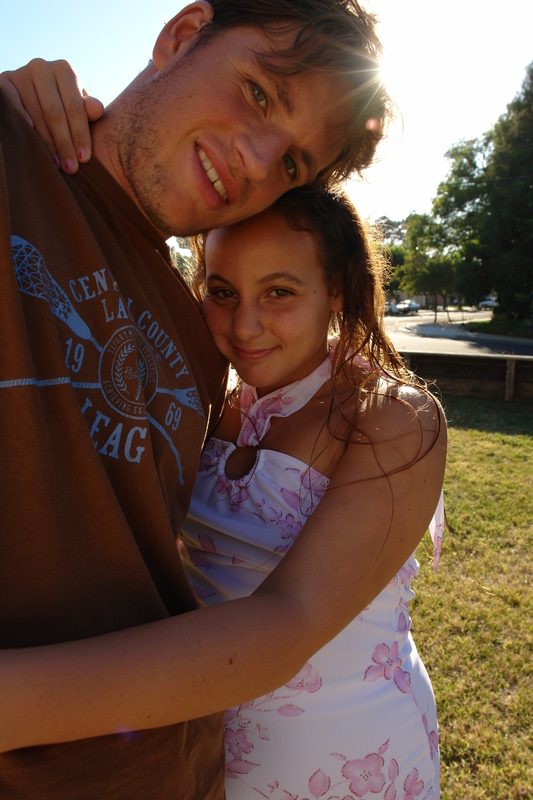 I am very young only 20 years old but my hubby is 26. I have alot of experience with children I was a full time nanny of a little boy for 8 months so I know very well what im getting myself into. I am also a very laid back type of person and so is my hubby and we dont feel having a child will affect our attitude towards life. We love to travel and we will just take our little ones with us. I think its important to expose children to things outside of their every day norm and not keep them in a bubble though that may seem like the easier choice. Living right in the center of Europe has many advantages for us. To an American family travel and a big family’s dont always mix, For Europeans its a way of life. I feel blessed to be where I am in life right now.Hubby has a job we are stable, we have been together almost a decade and married for 1.5 years and we have a cozy home and most importantly we have each other! We can both say with confidence we are ready for this next stage in our life and we will go into it with open minds and open hearts! Now for the TTC (trying to concieve) info. I have a youtube channel (DanielleBabyBliss) where I post weekly vlogs and updates. http://www.youtube.com/user/DanielleBabyBliss?feature=mhum Feel free to subscribe! Cycle day One is oficially over as our first try was not a sucsess. However I am optimistic about cycle 2! I ovulated Feb 1st cycle day 16 and got a positive opk (clear blue digital) jan 31st cycle day 15. We “baby danced” the night of the positive opk and not on the day of ovulation. Cycle 2 w will for sure baby dance on ovulation day and hope we get better luck. 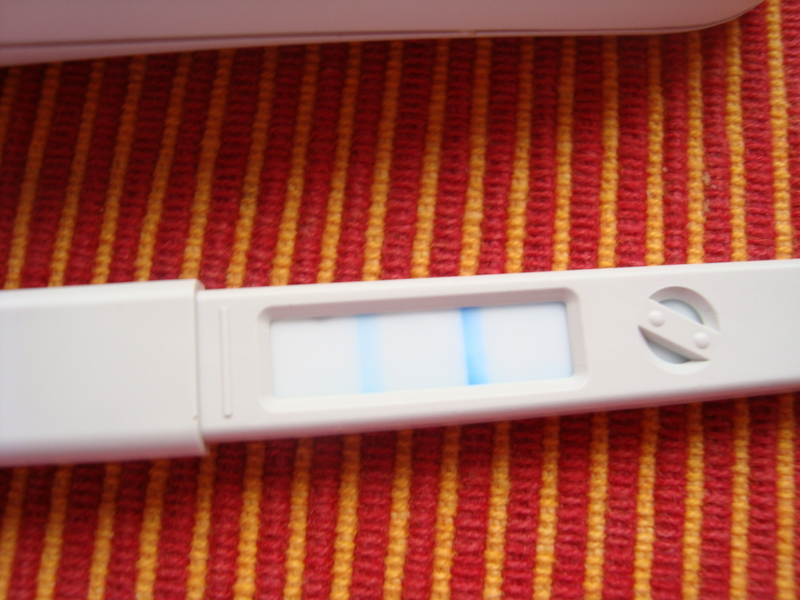 be sure to check out my review on the clear blue digital ovulation tests in the product review category. Please follow me for more up dates and thank you so much for joining me on my journey!